After you teach us about your employees, Cooperation can automatically assign shifts. We’ll make adjustments according to who is available, out sick, or at risk of unapproved overtime. We fill most shifts with the click of a button. Of course you can change any of the automatic assignments, and Cooperation will learn from that information as well. We’ll make open shifts available for trained and qualified employees to sign up for on their own, and you can fill any gaps with on-call employees or temp agency workers. When it comes to time-off, Cooperation makes it easy to review requests. We can predict whether you’ll be short-staffed so you can easily decide whether to approve or deny that time. Once a time off request is approved, we automatically exclude that employee from the schedule. Last minute call-outs will happen. When they do, you can contact any or all of the employees qualified to cover that shift with the click of a button. 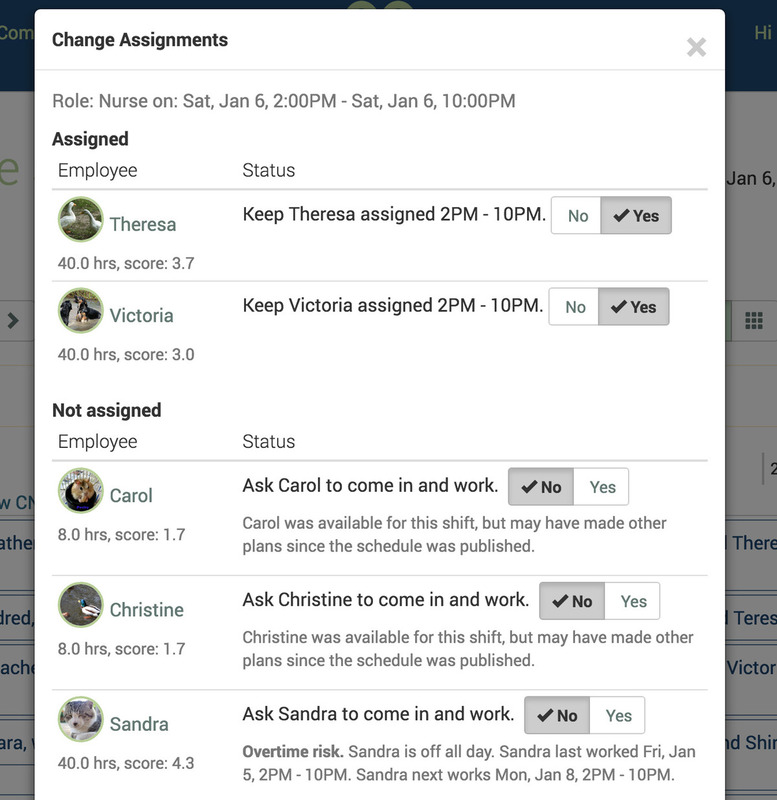 The call-out interface lets you know who may get overtime for working the shift. It also lets you know when someone picks up the shift. If no one does, we let the on call scheduler know an hour before the shift start. Prior to publishing the schedule, you can view our labor cost estimates for what you've designed. We can break it down by role, employee, department, day of the week, day of the month, and hour of the day. 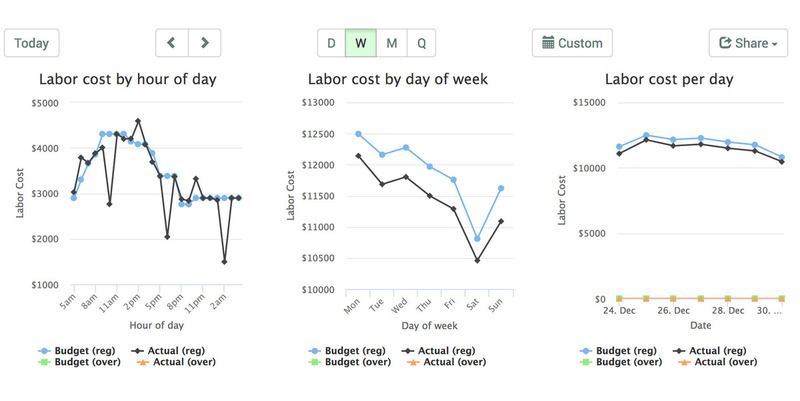 We track the variance of actual costs to budgeted for each shift, too, and update the difference in real time. Employees can clock in via the website, their smartphone, or on a tablet you provide on location. We track hours logged and when employees clock in or out for breaks. If you use punch rounding, we show that data as well. For any missed punches, you can make edits and write notes about why you're editing the punch for other admins to see. It only takes a few clicks to have data ready to upload to your payroll provider. 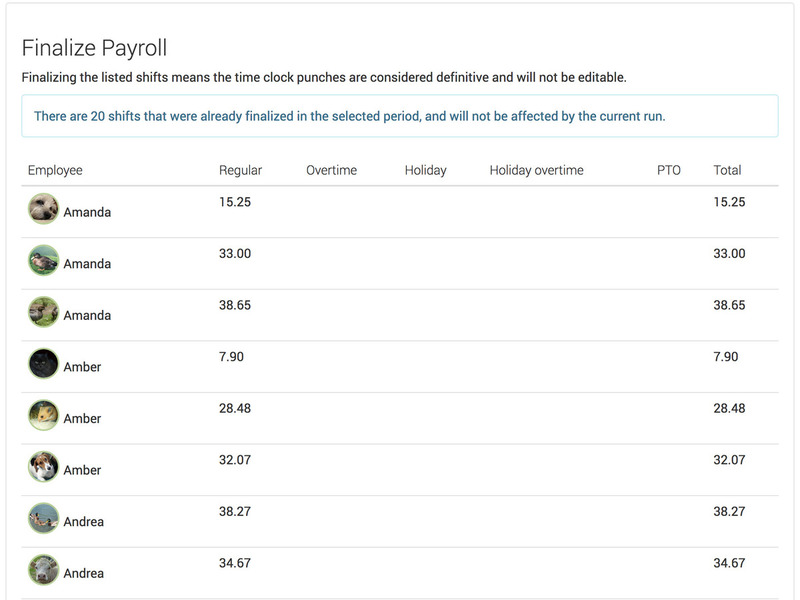 We show you a summary of regular hours, overtime, holiday hours, and used leave. If we don't already have your payroll provider’s expected format available, we will happily create it for you. 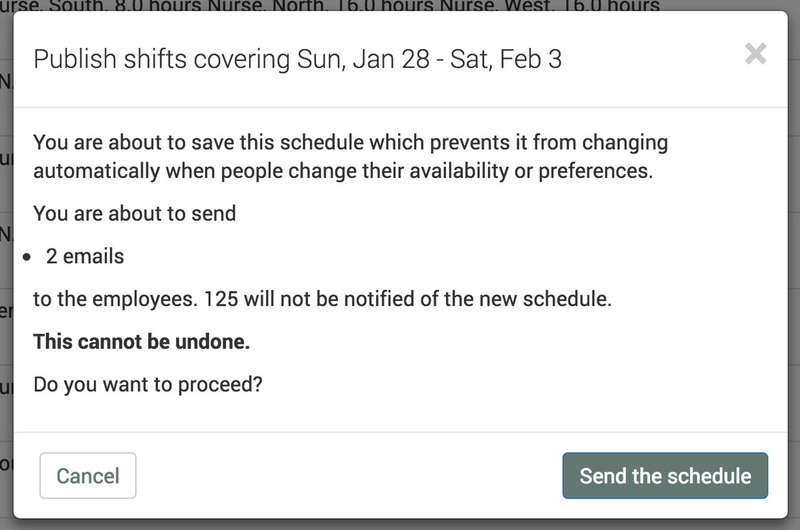 Cooperation automatically notifies employees about any schedule changes. You can choose the way we contact you: SMS, email, or phone call. 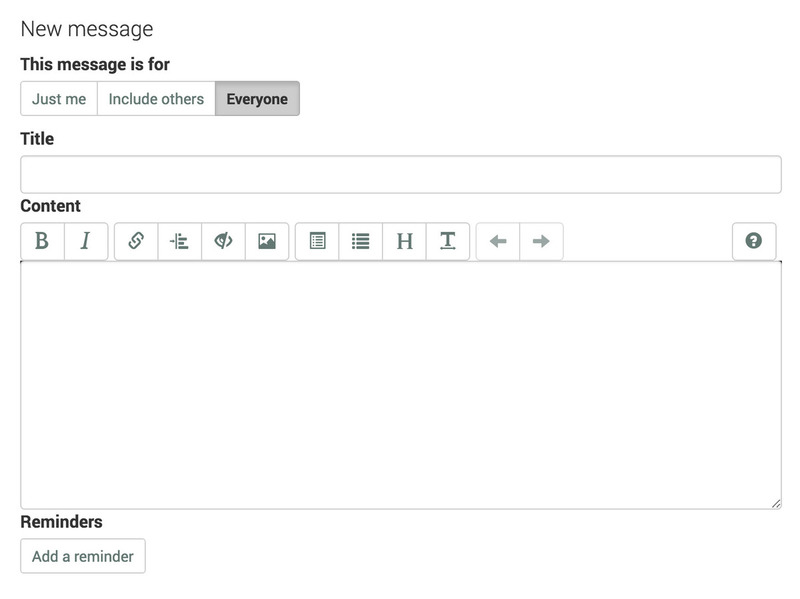 Cooperation’s messaging platform makes it easy to organize and streamline any work-related communication. You can address notes to any group of employees, be it people who worked a specific shift, are trained for a certain role, or work in a department. You can also add reminders to your notes. Say there’s a deadline approaching: you can send a note and then have all the recipients automatically reminded the day before that deadline.